Per the Monster Manual II, verbeeg are 8 1/2 to 10 feet tall, while firbolg are 10 1/2 feet tall. 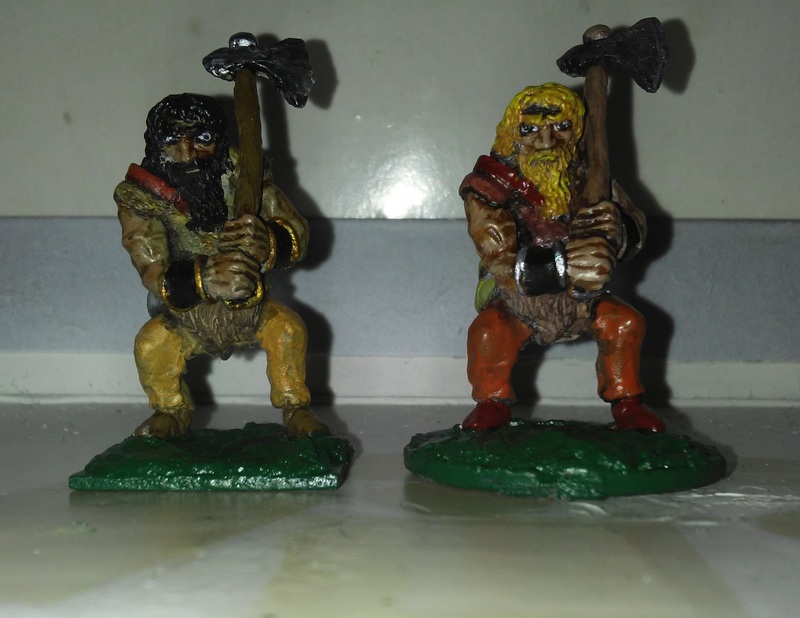 These two were sold as Firbolg during TSR’s short-lived turn as a miniatures manufacturer, but I always thought of them a half-ogres or Verbeeg, based on their relative size. They’re pretty close in size to the Grenadier AD&D “Giants,” which could only be hill giants (and really are ogre sized at best). If I were going to quibble I’d also say that the TSR minis should be armed with greatswords or halberds, per the MMII, rather than axes. 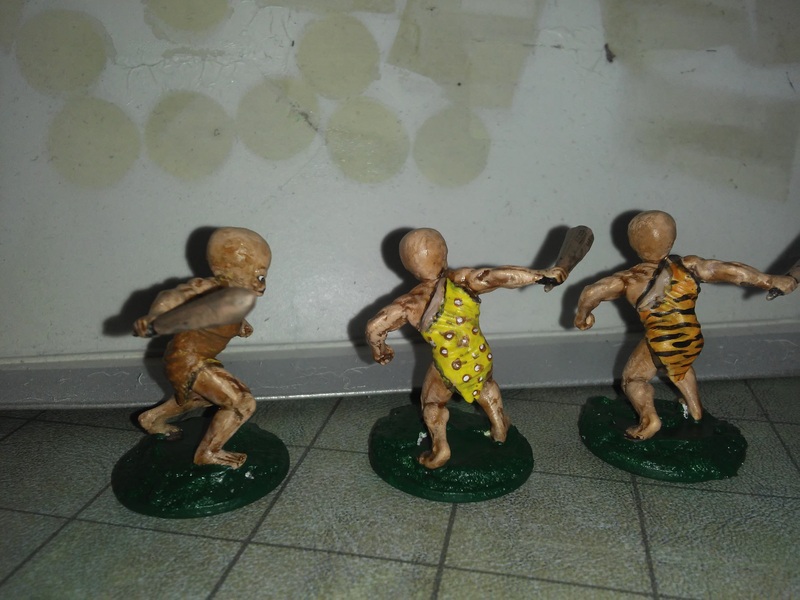 Together with the plastic cavemen and Grenadier giants I am calling troggs, these and few other miscellaneous figures are grouped together in my collection as “human giants,” whatever that means — the MMII terminology is ambiguous. Why call them “human giants”? Are they a distinct race? Or just humans with acromegaly or some magical affliction? He’s no more than 7 feet tall in scale, but looks like a shaman or witch-doctor for the tribe. 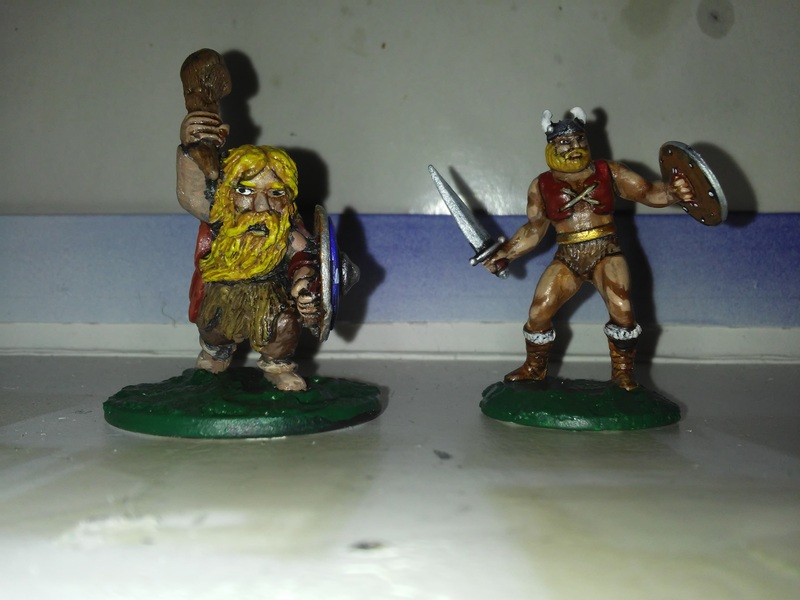 I also finally painted an Adina giant and a viking from the “Crossbows and Catapults” game. 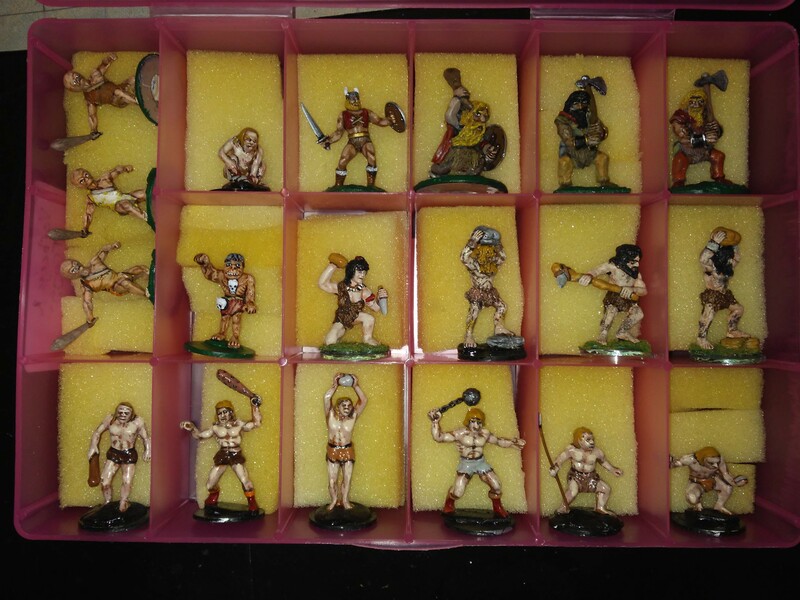 (Somehow I unede up with just one example of each of the vikings and barbarians from that game). The Viking actually fits the Verbeeg description the best, as they should be relatively slim for giant types. The Adina giant is barely taller than a normal human, as you can see below with a Heritage knight for reference. Though he is very stocky. 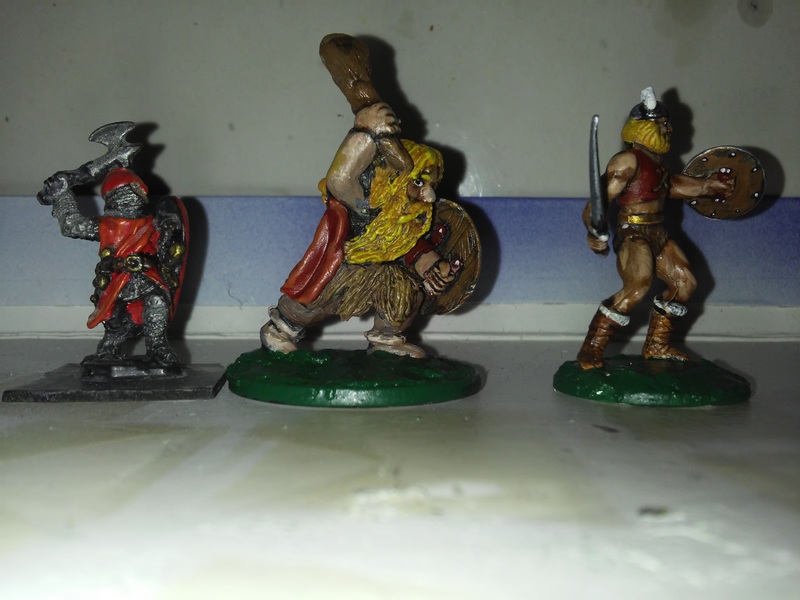 I also snagged a few HeroClix figures that I thought I’d use as young giants. I think they represent a DC villain. 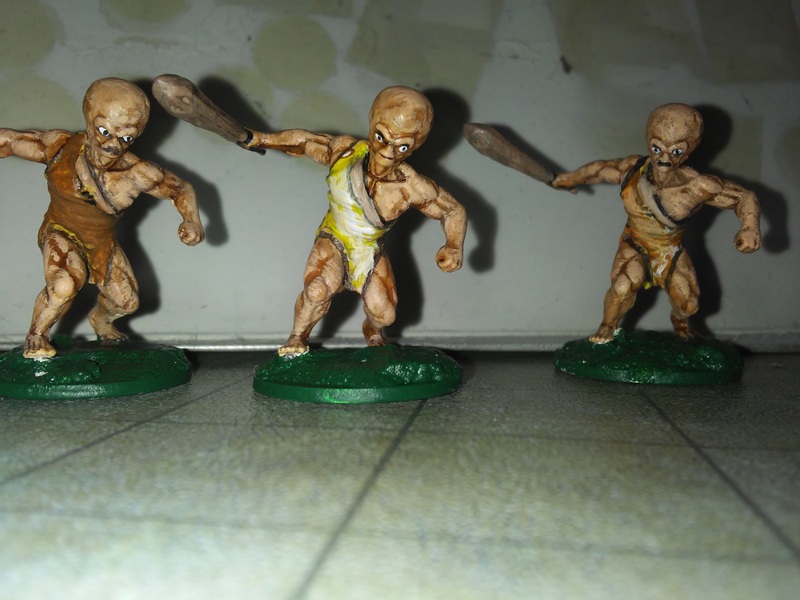 The huge craniums make them look a bit like children. I was pretty happy with how their animal skin togas turned out. 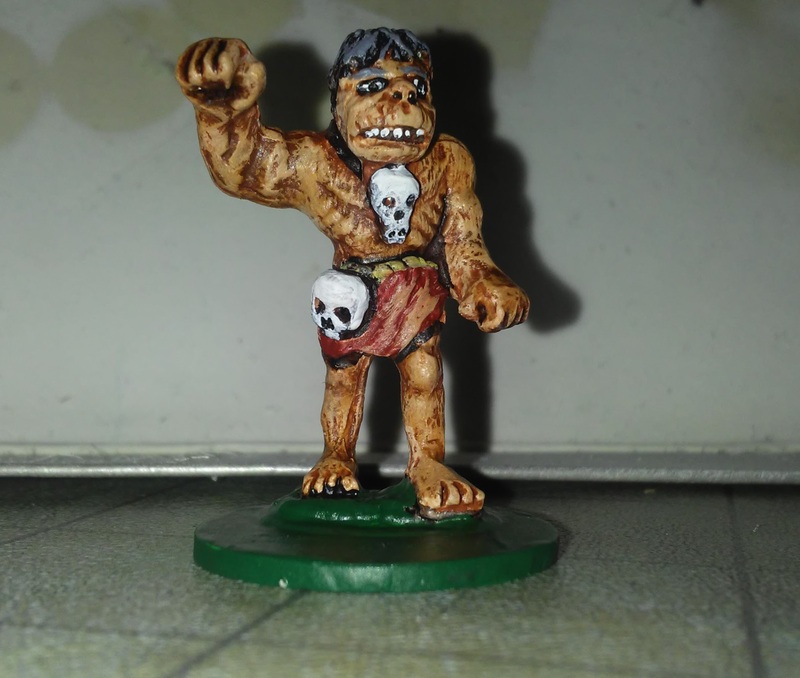 Mystery mini identified at last! I was browsing the galleries at Lead Poisoned again — there are some very obscure (to me, anyway) companies covered in his galleries. 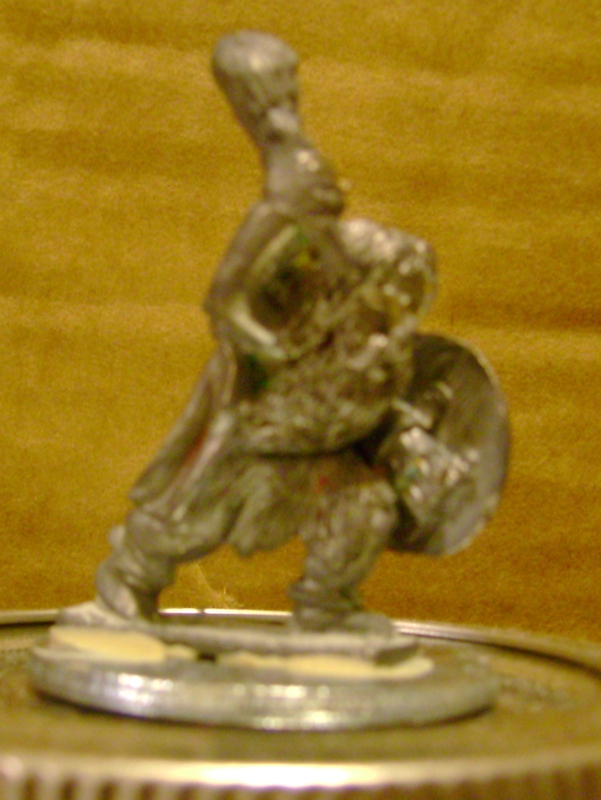 I just happened to find the giant that’s been eluding identification all this time in the page for “Adina” miniatures — a Pennsylvania based manufacturer. Lead Poisoned’s image is here, and mine is here.